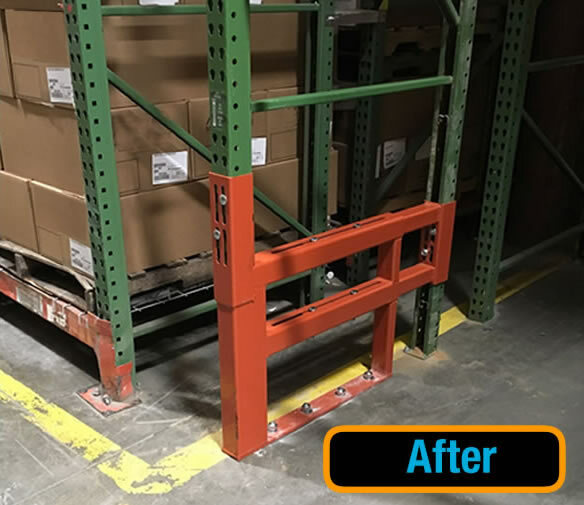 We will repair or replace FREE OF CHARGE any parts or sections of any uprights damaged by forklift impact below the seat height on any RACK AVENGER KITS purchased. Standard heights for RACK AVENGER KITS ARE 24”H, 36″H or 48″H seats, however any other custom height will also be covered below the seat height determined at time of quotation or purchase. 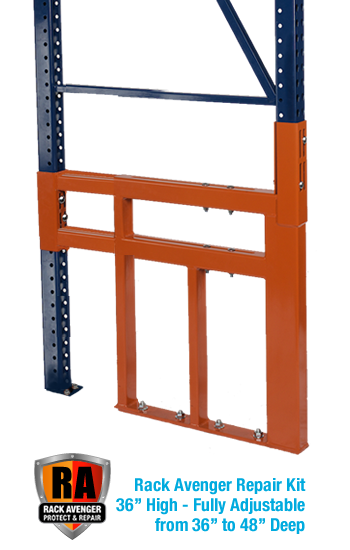 The seat height is determined by where the front upright post is cut off above the existing damage and the remaining front column then sits on the RACK AVENGER KITS. 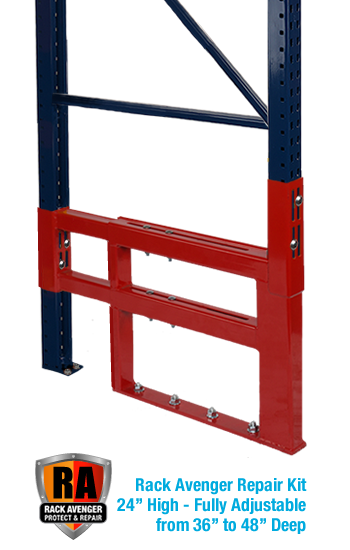 Whether we install the RACK AVENGER KITS in existing racks at the customer’s facility or we pre-fabricate uprights with the RACK AVENGER KITS already on the upright this warranty remains binding. Date of install or date that the customer receives the RACK AVENGER KITS upright is the commencement date that starts the twenty-year warranty. Got-Rack will pay for all freight, travel, and installation labor related to warranteed work. Non-operational disasters including, but not limited to, fire, explosion, acts of war, riots and acts of civil disobedience, vandalism, malicious mischief and other acts of nature, are not included in this warranty. Got-Rack will train your personnel to properly install our RACK AVENGER KITS. 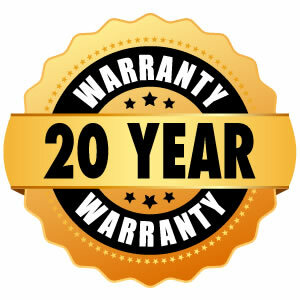 RACK AVENGER KITS installed by your trained personal will be covered by our 20 year warranty. If for any reason kits are relocated without Got- Rack’s knowledge the warranty is voided. Specific engineering has been researched and tested on the RACK AVENGER KITS and the anchoring system provided must not be altered in any way for said warranty to remain valid. 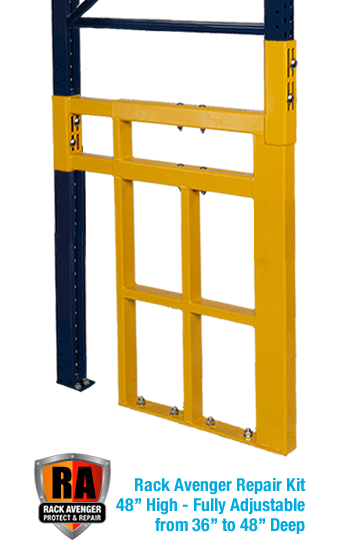 We will train your personnel to properly install our PALLET RACK AVENGER KITS. PALLET RACK AVENGER KITS installed by your trained personal will be covered by our 20 year warranty. If for any reason kits are relocated without our knowledge the warranty is voided. 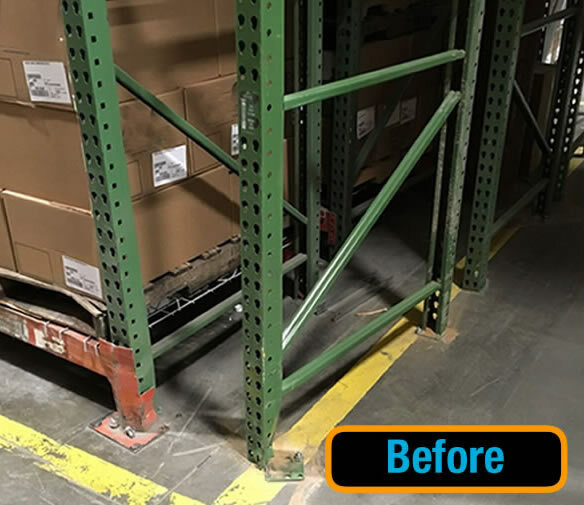 Specific engineering has been researched and tested on the PALLET RACK AVENGER KITS and the anchoring system provided must not be altered in any way for said warranty to remain valid.